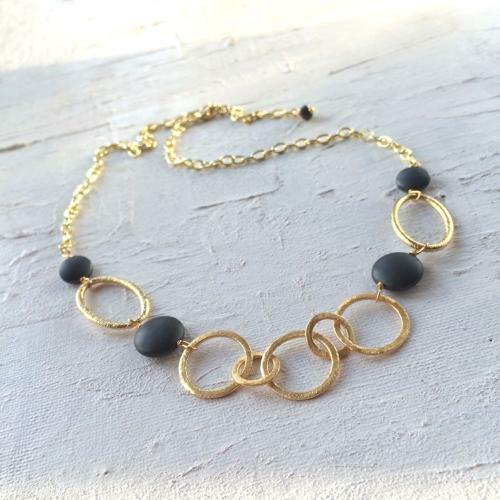 Gold plated etched circles and trace chain with hematite beads. Length 55cms adjustable. Designed and hand made in England.